This year, Hanszen College’s room draw ended with 17 unclaimed beds. 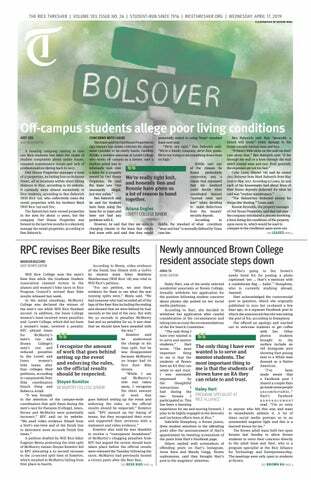 It’s been well-established that Hanszen’s housing facilities are in dire need of upgrades, but so far Rice’s administration has largely turned a blind eye. A cloud often hangs over the student body as it returns from spring break. Usually, that’s a product of mixing Frio 6.0, Red Bull and sunshine. This year, though, that cloud was the result of a massive fire at a chemical storage facility on the bank of the Houston Ship Channel. The women’s basketball team received potentially great news on Monday: when it tips off its opening game of the NCAA Tournament on Friday at 1 p.m., it will do so a mere two hour drive from its home court — in College Station on the campus of Texas A&M University. Every election cycle, candidates push to increase the diversity of ideas that make their way from the student body to the Student Association Senate. Revelations related to Virginia Governor Ralph Northam’s blackface appearance led to similar discoveries at Rice — in our very own Campanile yearbooks. Petitions for the campus-wide Student Association ballot are due Sunday, and it’s not too late to consider running for a position. Often, the same individuals who served in the government their freshman year are the ones who ultimately run for SA or college leadership positions. The new summer school financial aid is undoubtedly a good thing (see p. 3). In fact, it appears to place Rice ahead of its peer institutions. Harvard, Yale and Princeton Universities only offer loans for summer courses which must be paid back — Rice’s new grants, which need not be paid back, expand summer school access to those for whom the cost might be prohibitive. Duncan College Magister Caleb McDaniel announced a ban on all private gatherings at Duncan serving alcohol, including wine and beer on Dec. 3, alleging that student leadership had turned a blind eye to hard alcohol consumption at the college. The Thresher believes this ban to be misguided and counterproductive. The pay gap between male full professors and female full professors is $11,580 as of the 2017-18 academic year (see p. 1). This gap has grown over the past eight years from $6,526 in 2010-11 and $9,244 in 2013-14. Editorial: Evening of Elegance isn’t an alternative to NOD. It’s competition. Last year, Chi Alpha staff member Mathison Ingham commented to the Thresher that Evening of Elegance was meant to provide an environment with “dignity” compared to Night of Decadence. That set off a whirlwind of criticism culminating in a fiery op-ed from then-Wiess College senior Josh Kaye. Chi Alpha did not publicly respond to the criticism.